Summer can be a killer. Every year people die from too much sun or heat. A simple sunburn can escalate into heatstroke in a matter of hours. Heatstroke can be fatal. Keep summer fun by avoiding too much sun. Sunburn can turn deadly in less than 24 hours. Detecting and treating sunburn, sun poisoning, and heat cramps is important. However, recognizing heat exhaustion and heatstroke is critically important. Early detection and prompt intervention can save a life. 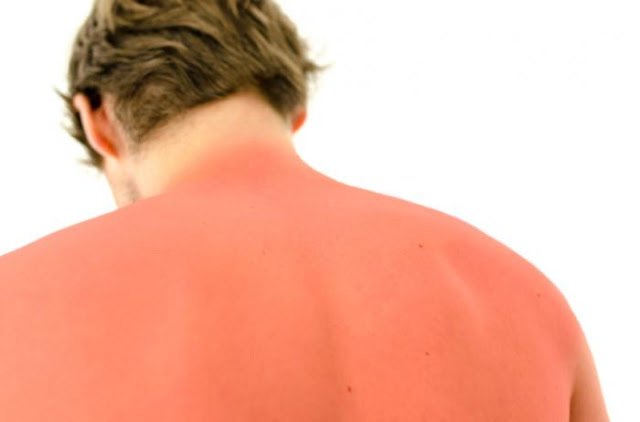 Sunburn is a first-degree burn that causes redness, swelling, and pain. Fair-skinned people can burn in less than 15 minutes. Sun damage can cause wrinkles, premature aging, and darkening of age spots. Sunburn can cause cell damage that later leads to skin cancer. Usually, sunburn is more of a pain than a true medical problem. When sunburn sizzles, no treatment seems fast enough or effective enough. However, moist and cool compresses, topical treatments, and NSAIDs such as Motrin® are still commonly recommended treatments. Sun poisoning is just another name for severe sunburn. While this is not quite as serious as it sounds, sun poisoning needs to be taken seriously. It can cause intense burning, blisters, fever, chills, dizziness, nausea, or rapid pulse. Avoid self-treatment when sunburn is severe. See a doctor to prevent complications such as dehydration and infection. Belly or muscle cramps can occur during strenuous activities in sweltering temperatures. Heat cramps sound harmless but they actually indicate a fluid and electrolyte imbalance. If the usual treatments of drinking juices, replacing electrolytes with sports drinks, cooling down, and rest don’t relieve the problem promptly – seek medical attention. Many people (especially athletes) ignore these symptoms… don’t. Left untreated, heat cramps escalate into a more serious problem – heat exhaustion. Heat exhaustion can cause profuse sweating, rapid breathing, rapid pulse, weakness, or dizziness. If these symptoms occur, call 911 immediately. Left untreated, a person with heat exhaustion can deteriorate rapidly. While awaiting an ambulance, keep the person cool and offer them decaffeinated and non-alcoholic drinks. Heat exhaustion can lead to heatstroke in a matter of minutes. Every summer people die (unnecessarily) from heatstroke. People usually have the warning signs of heat cramps and heat exhaustion before reaching the deadly stage of heatstroke. So, getting help at the heat cramp and heat exhaustion stages can prevent a heatstroke. Remember, heatstroke can be fatal, so know the symptoms and act fast. One distinguishing symptom of heatstroke is that the skin is usually dry. A person with heatstroke may become confused or faint. The pulse may be slow or fast. And the body temperature can go very high, very fast. Call 911 immediately! While waiting for the ambulance, have the person lie down in a cool place. Offer them a cool, decaffeinated, non- alcoholic drink. Heat stroke can cause brain damage, organ failure, coma, or death. The smartest thing to do is prevent sunburn in the first place. Learn to use the UV index. To find a rating, type NOAA into a search engine. Then type UV index. Look up any location. Here are five easy steps to preventing sunburn. Apply sunscreen SPF # 15-30 (or higher) to all exposed skin. Always apply it 15-30 minutes before going outside. Avoid too much sun between 10 a.m. and 2 p.m. Here's the sunburn protection tip that most people forget...re-apply sunscreen at least every two hours. Now go outside and have some fum in the sun!